As demographics continue to change, organizations increasingly need experts to implement or oversee their supplier diversity programs. With a CPSD, you can become the expert they need and guide them to make intelligent and profitable supplier diversity decisions. 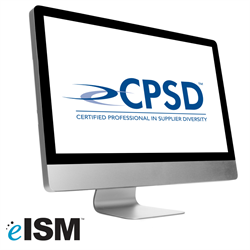 ISM’s Certified Professional in Supplier Diversity® (CPSD™) certification program is one of the few that exists for this growing and much-needed specialization. Many companies engage in supplier diversity to be socially responsible or to meet customer or federal requirements, but don’t understand its true profit potential. As a CPSD, you’ll be the guiding hand with the knowledge and training to show an organization how supplier diversity can improve the bottom line and accelerate innovation by becoming more efficient and by getting exposure to new customer bases. Remember: All ISM Knowledge Center courses are active for one year from the date of purchase. 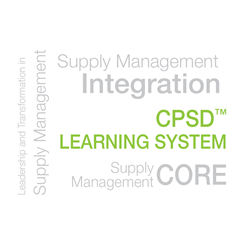 The CPSD™ Learning System (print) is the comprehensive solution to prepare for the two exams required to obtain the Certified Professional in Supplier Diversity® (CPSD) certification. Study materials for the Supply Management Core and Essentials in Supplier Diversity exams in one bundle. Study Guide: An expanded outline of the Supply Management Core exam content, with definitions and fundamental terms. 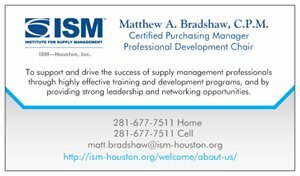 Professional Series: In-depth texts covering key supply management core concepts. Diagnostic practice exam for the Supply Management Core content. The practice exams include instructions for how to align the results from the diagnostic practice exam to the appropriate study material. Essentials in Supplier Diversity study tool. This self-study workbook provides resource articles, case studies and supplemental content developed by subject matter experts. There is a post test with justifications to evaluate your increased knowledge. For candidates with a current CPSM® or C.P.M. As more companies embrace Supplier Diversity, they need an expert voice to advise them and to help them create, improve or maintain a successful Supplier Diversity program. The CPSD™ Online Exam Review course will help you to become the lynchpin for a successful program. This self-study workbook provides an overview of the material covered on the Certified Professional in Supplier Diversity®(CPSD™) Exam, using resource articles, case studies and supplemental content developed by subject matter experts. There is a post test with justifications to evaluate your increased knowledge. For an overview of the ISM courses connected with this subject click this link below. Or, you can contact ISM directly.